Is everyone as excited about EQ7 as I am? Cause I gotta tell ya, I'm really excited! Want to know something even more exciting? I get to give one away! 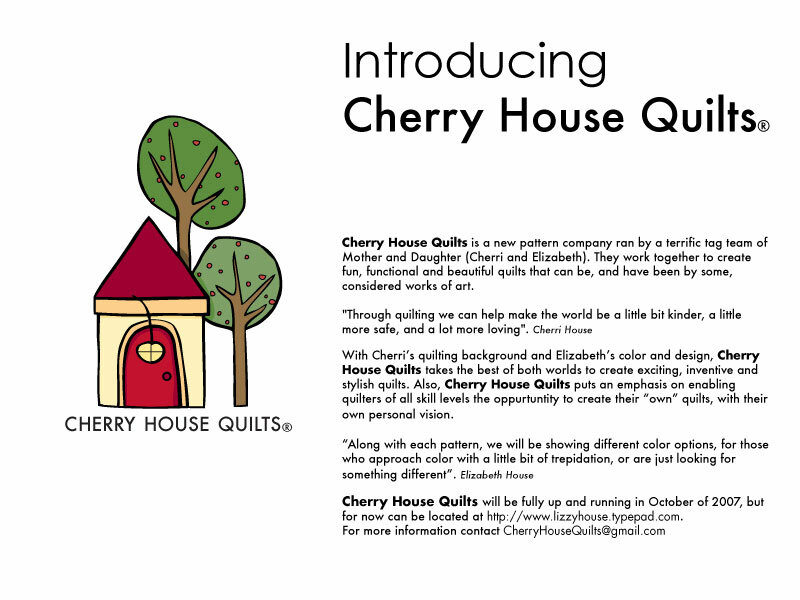 First, just let me tell you that I love EQ6 - it has been a part of my business since day one - I design everything for Cherry House Quilts on there first. As much as I love EQ6, I know that EQ7 is going to be even better!!! How to win??? Leave a comment...that's it...piece of cake right? Anyone anywhere - a contest without borders! Leave a comment, make sure you include an email address so you can be contacted. Share this with your friends - tell everyone, tweet about it, share it on Facebook, because someone is going to win a free EQ7. 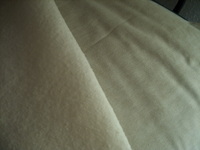 The contest will end on May 18, 2010, and your prize will be shipped by The Electric Quilt company. Okay sweet friends - best of luck to everyone!!! Two giveaways in one week...can you believe it? 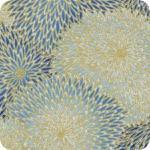 How about a drawing for an 11 week online class with Annie Smith beginning October 2nd. 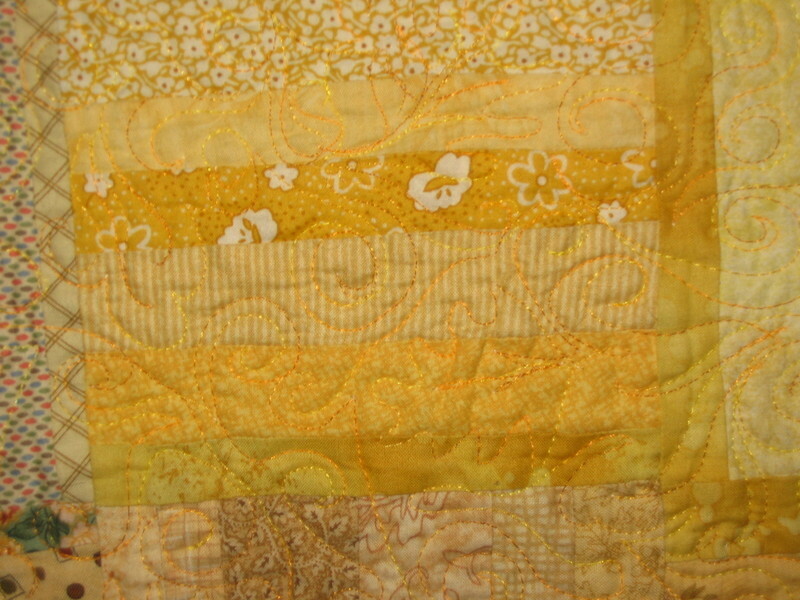 The class is geared for beginning quilters, creating a sampler, with beginning techniques taught. 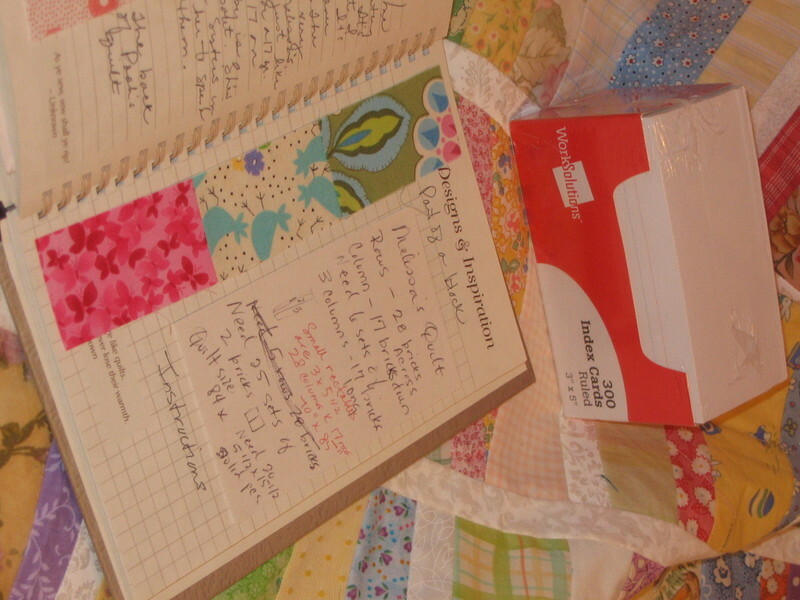 Does this sound perfect for you, or a dear friend who wants to learn to quilt? If so, sign right up! Before you do, let me tell you a little something about Annie...she must be, without a doubt, one of the kindest quilters in the industry. To know her is to love her! I'll never forget meeting her, and the blessing that it was, being seated next to her, at Lizzy & I's first industry dinner. I was so nervous and anxious; and who should I be seated next to, an Angel! Truly, she couldn't have been more kind or more welcoming, and I will always be grateful for that encounter. 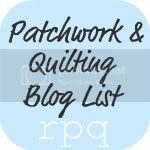 To learn more about Annie, her quilting podcast, and the class, pop over to link above and check out the schedule. If a beginning class isn't suitable for you, be sure and check out Annie's other classes. How to enter the drawing? Leave a comment! The drawing will be held on September 27th. Do you ever have a tendency to stick with what you know, rather than venture out on a limb to learn something new? Even if that new thing could make your life so much easier? I'm starting the newest pattern, Center Stage for Cherry House Quilts, and I'm experimenting with a new attachment on my sewing machine. Is any one familiar with the Circular Embroidery Foot? Any recommendations? I watched the Bernina video - which was helpful. A last minute trip to Joann's was necessary to pick up some heavier stabilizer than what I had on hand. I'm excited about this quilt, the fabric is so beautiful! Robert Kaufman has really outdone themselves. A Tutorial plus some really good news! First of all I got my new iron - it's a Panasonic Cordless Iron...so far, so good. I previously had a Maytag Cordless Iron - not so good. When removed from the base the heat lasted for only a couple of minutes, but the Panasonic seems to stay heated for at least 4 or 5 minutes before having to be returned to the heating unit. It also has a great burst of steam for the those tough wrinkles that seem impossible to tame. 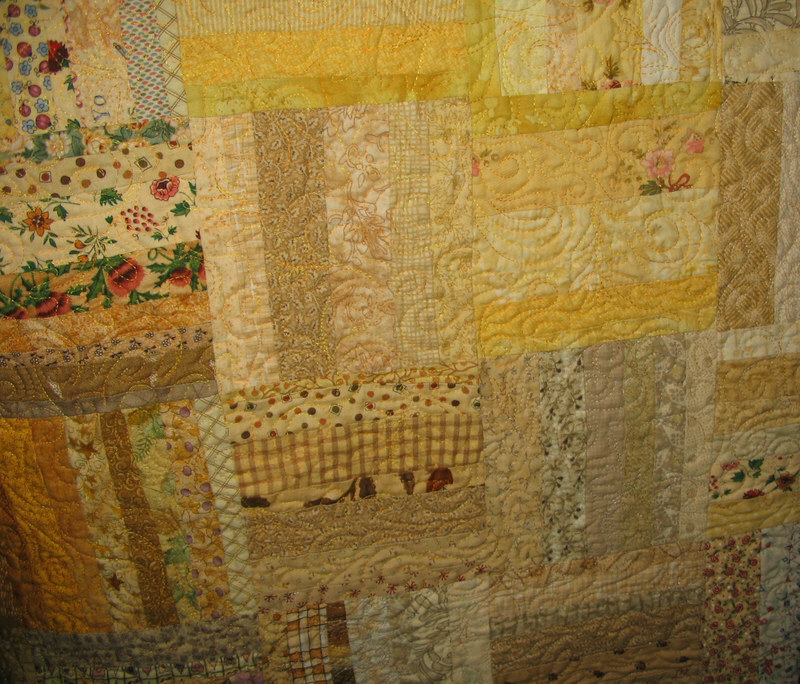 Lay down the quilt back, wrong side up, then layout the batting to remove any wrinkles, and give it a chance to breath. The texture of the batting is like a cotton batt, but slightly stiffer, due to the fusing I imagine. After laundering the fusing is completely removed, and the texture is that of a 80/20 batting. Next lay the quilt top and batting across the ironing board at the center of the quilt. Start pressing the top/batt, pressing towards yourself. When the exposed portion is completely pressed, lift and move the top/batt away from yourself to expose the next unironed section. This will allow you to keep removing any bubbles or gaps until you have reached the end of the top/batt. When you reach the end, pick up the top/batt and flip around on the ironing board, and repeat the process. Next I lay the pressed top/batt on a flat surface (my bed) and add the quilt back, carefully positioning over the top/batt. 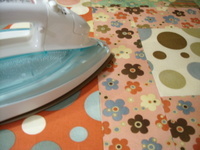 Depending on how large your quilt is, gently fold and carry the quilt to your ironing surface. Repeat the process that was used on the top. Be careful to make sure that the top/batt are flat on the ironing surface, and don't get crumpled, or wrinkled. Next, start quilting! I hope this helps...A couple of concerns I had, I'll share with you - in case you are wondering too. Does the fusing stick to the iron if the iron touches it? I haven't experienced this - I was careful, but not that careful. The fusing doesn't react like fusible web. Also when pressing the top & batt, the batting did not stick to the ironing board. It is repositionable. I'm very sensitive to chemicals (asthma), so I was initially cautious/worried, but I haven't had any trouble with fumes - unlike with sprays. Also unlike the sprays there was no residue on the sewing machine, or the needle. If anyone is interested, I'd be happy to send you a 12" x 12" sample until I run out. Just send a 7.5" x 10.5" SASE (.97 cent stamp). Email me, and I'll give you my mailing address. Drum roll please - for the best news of all!!! 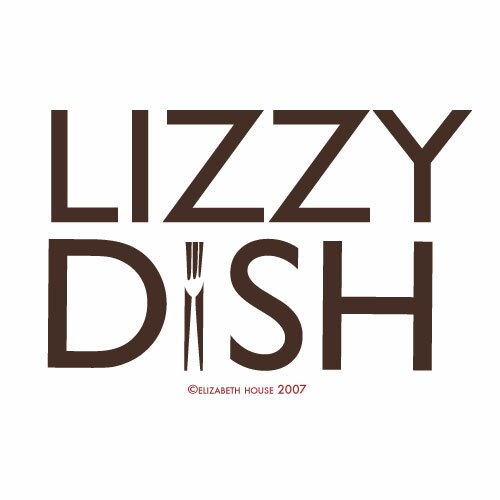 Did you see Lizzy's blog, and her super good news! She has a fabric line coming out - it is amazing! I know I'm her momma, and I know I'm prejudice, but I know great fabric, and this is like nothing else on the market right now. I'm so proud, she is a great daughter, and a great designer! Thanks to everyone for commenting on their favorite irons...the winner so far seems to be Rowenta. My new iron is not a Rowenta, but if this new one doesn't work out, I'm going to give them a try. There seems to be a great deal of interest in the Hobbs Fusible Batting. Give me a day or two, and I'll do a tutorial and walk through the process of using this product. If you are interested in purchasing this batting, I do know that they carry this at Hobby Lobby, I always purchase several bags at a time when they have their 40% off coupons available. Speaking of other products that I love...Superior Threads....I think they are the best! They have recently come out with a Thread Selection Guide, and a Thread Reference Guide. It is great information, and handy to printout, and keep next to your sewing machine. I love companies that help you use their product more efficiently. Part of my problem is the dyslexia thing, so any cheat sheets that keep me going in the right direction are super! Machine Quilting is a common event at my house, and nothing makes me crazier than breaking threads, and breaking needles. The information on these charts helps me pick the right thread, needle, and machine settings so I can get the job done right the first time. The winner of the Black & White strips was Tina from Boston! 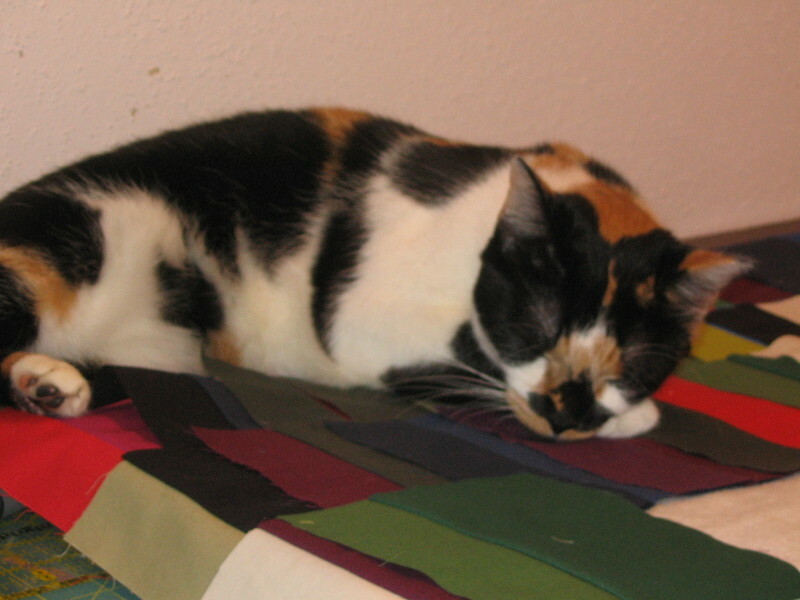 Tina - I'll be shipping out your fabric as soon as I can get back to my cutting table. Today I spent hours searching for a new iron...does anyone have an iron they absolutely love? If so, what is it? I'll let you know about my new iron as soon as it arrives, and I take it for a test drive. In our home we have a tradition, it's called FIRST DAY RULE. When you get something new, on the first day you get to be absolutely selfish with it. You don't have to share, or let anyone see it, or anything. It's yours, and for one day only being a little piggish is allowed. But I won't do that with my new iron...as soon as it's out box, I'll share. 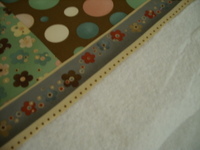 I'll share something else too...I am in love with Hobbs fusible batting. Space at my home has always been at a premium. I've never had enough space to spread out a quilt top on a flat, sturdy surface. So consequently, I'm always fighting quilt back puckers (that sounds funny, like some kinda insult). I've tried the sprays, tacking guns, I have a tons of safety pins, but I haven't found a good solution until now. I love this stuff! Cherry Fizz was made with this batting, as well as City Park, and I couldn't be more pleased. Thanks to everyone who has left a comment on our 100th post, so many good wishes! There still time to enter, so be sure and leave a comment before our drawing sometime very late on the 23rd. Just a day or two more and our Cherry Fizz quilt pattern will be released...Lizzy's logos are perfection! 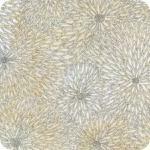 For the I DO pattern, 3 different methods are recommended for creating the circles. My favorite method, and the one I used is the six-minute circle from Pieced Curves So Simple by Dale Fleming / C&T Publishing. I originally saw this method years ago on Simply Quilts. If anyone is interested the demonstration is available online, as well as step by step photos. Here's a link to the instructions. It may just be my dyslexic mind not clicking along as it should - but according to the instructions in the book I thought that I needed a freezer paper shape for each circular block. What I discovered was that I could use the freezer paper circles at least 4 times. For those unfamiliar with the method, it all may sound a little wack, but if you make the quilt, it will all become very clear. Yesterday I dropped off THE QUILT at the beautiful Hilton across the street from the George R. Brown. I also had to go to the convention center to register (for the very first time!!!). The place was a ghost town. The doors to the convention floor were open, and there were workmen everywhere. A magical transformation is going to take place - without a doubt. Normally at Quilt Show it's impossible to even cross the street for all of the buses, police cars, cabs, and quilters...but yesterday the street lights were only blinking. Today will be a different story all together. 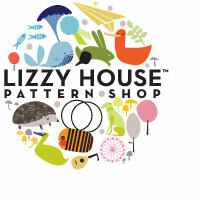 Find a manufacturer for Lizzy's line of fabric. She's tweaked and polished it to perfection! 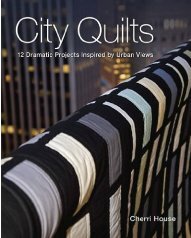 If any of you are going to be in Houston for market/show I cordially invite you to come see my quilt exhibit hosted by Brookfield Properties at the Continental Building at 1600 Smith on the concourse level - adjacent to the Crown Plaza Hotel in downtown Houston. The weather in Houston is perfect - it will probably last for about 5 minutes - but we are going to enjoy it while it does. Hope everyone has a great weekend...wish us luck! Gather lots of strip scraps (don't say that too fast) sort by theme, color, etc - I use anything from 3/4" to 2"
When you've covered the entire block of interfacing with the strips, trim with the 6" ruler, and presto, whamo - magic! 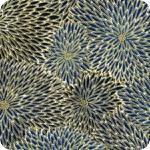 Sew these together in a basket weave pattern - as many or as few as you like. Using them as a background for applique works really well too. Everyone has their favorite quilting tool right? Your favorite ruler, the rotary cutter you are most comfortable with. 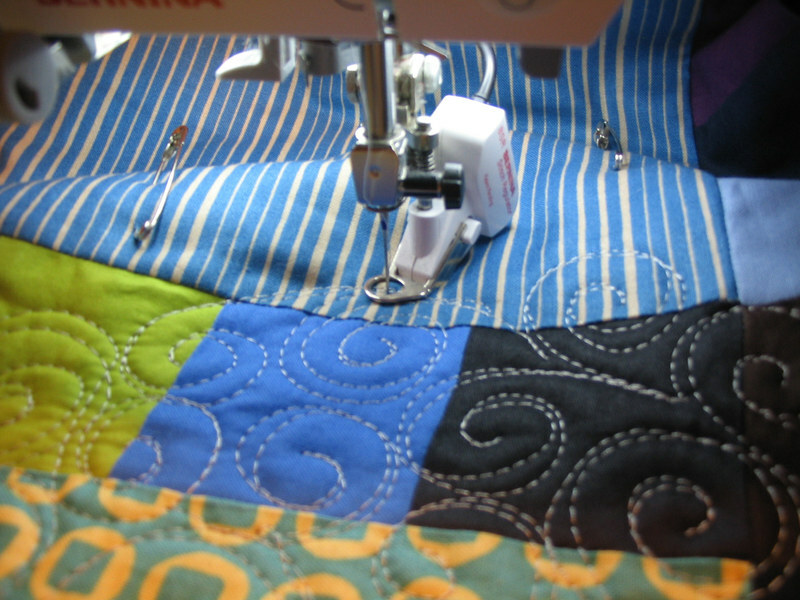 What about those non quilting items, that making quilting so much more efficient. Something that I really love are index cards, I use them all the time. Everytime I start a new project I have to have an index card. I do all of my calculations on them... how many blocks, how much fabric, etc. Sometimes I use them to jot notes, ideas, or progress of where I am on a project. 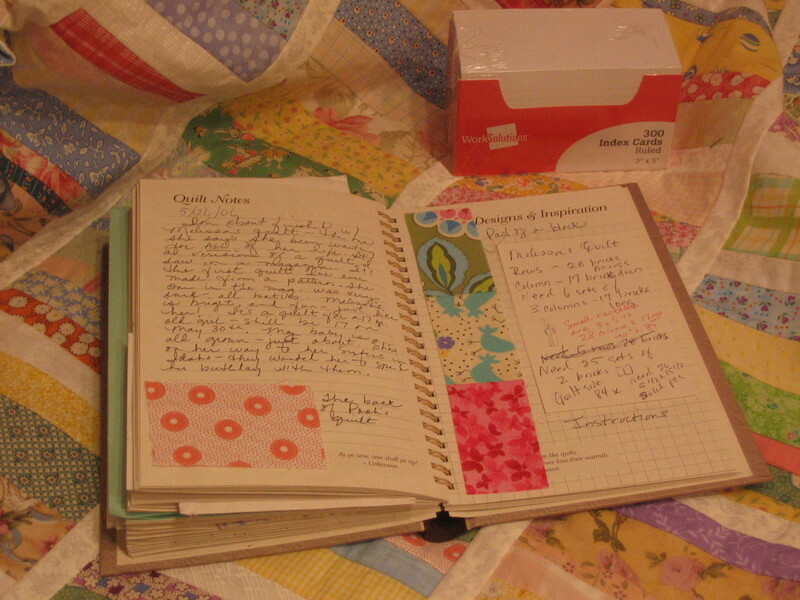 When the project is complete, I put the index card, along with fabric swatches in my quilt journal. The other day at the grocery store we were passing through the office supply aisle, and I remembered that I needed more index cards. They had a package of 100 for $1.12, and a package of 300 for $1.13...what kind of craziness is that? Needless to say, I went home with the package of 100, just kidding. 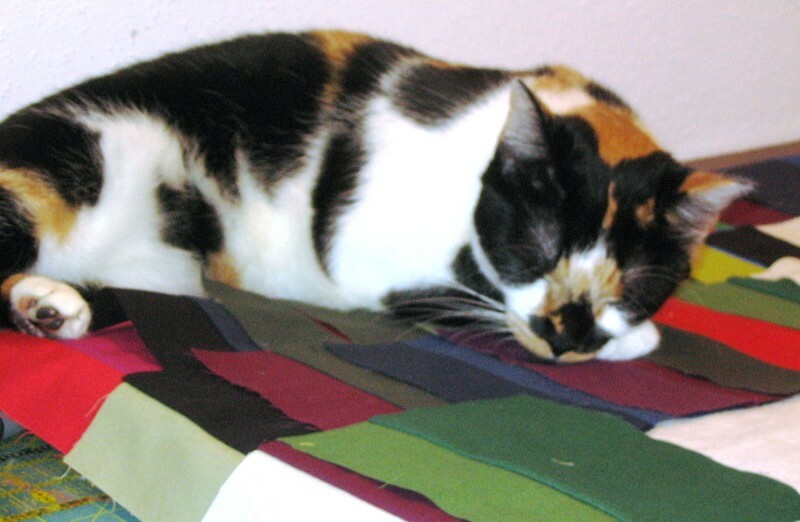 Here's a Stella update, I thought we had an agreement, I would sew, and she would keep me company as I completed our next quilt for Cherry House Quilts, and what do I find...her sleeping on the job!